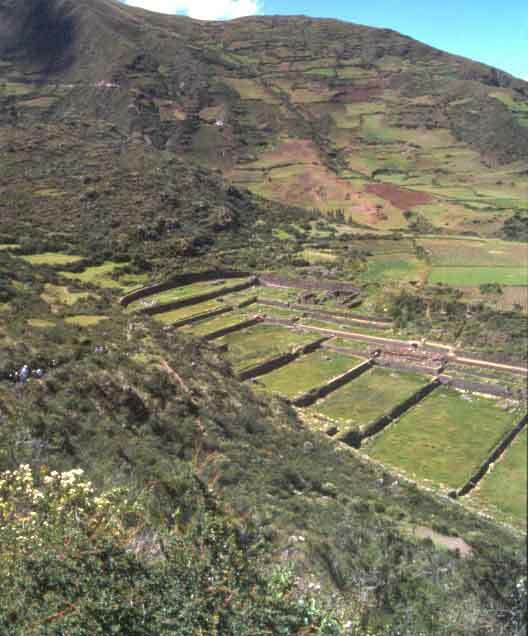 Agricultural terraces at Tipon, Cusco, Peru. 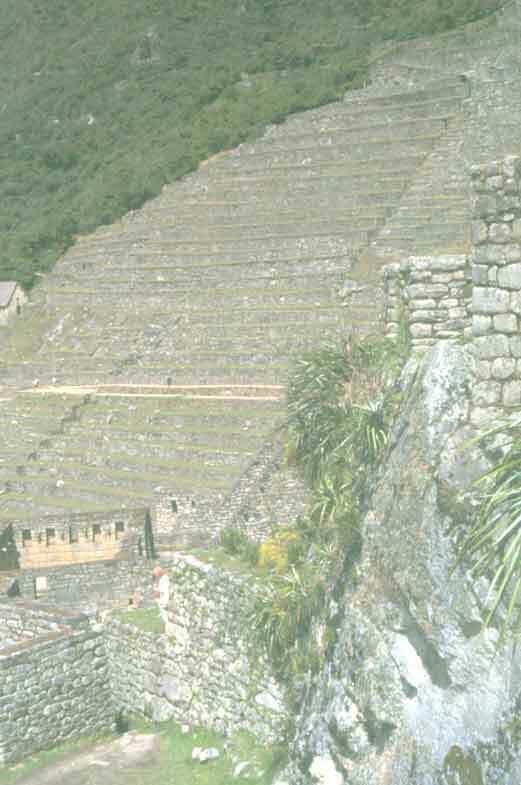 Left: Bird's view of Tipon terraces. 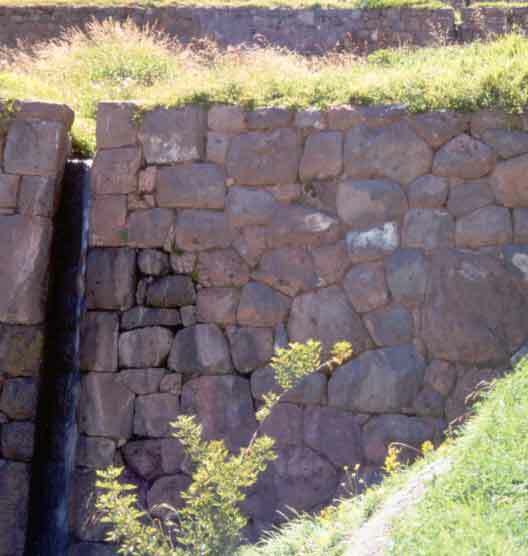 Below: Close-up of irrigation water drop built into a terrace. 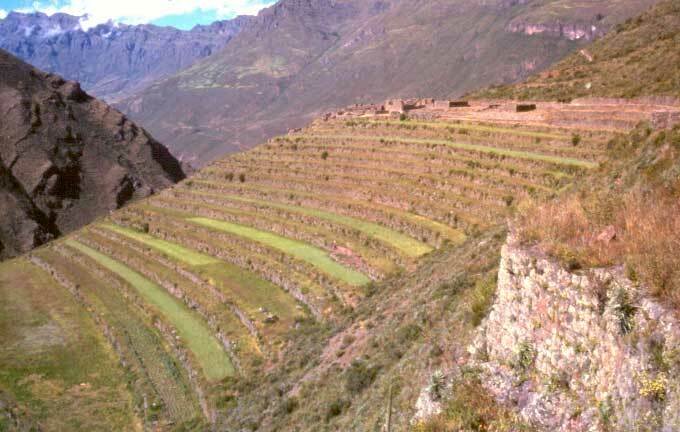 A small part of the Yucay valley, Cusco, Peru, which was transformed into a series of enormous agricultural platforms. 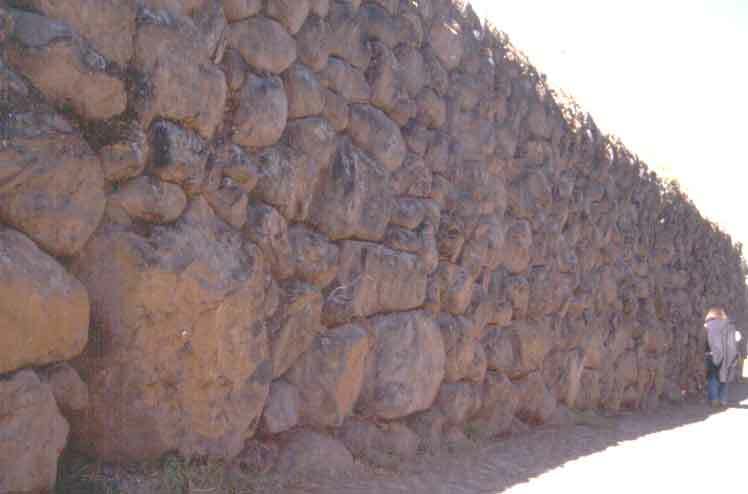 Huge rocks that form the walls of agricultural terraces of Yucay. 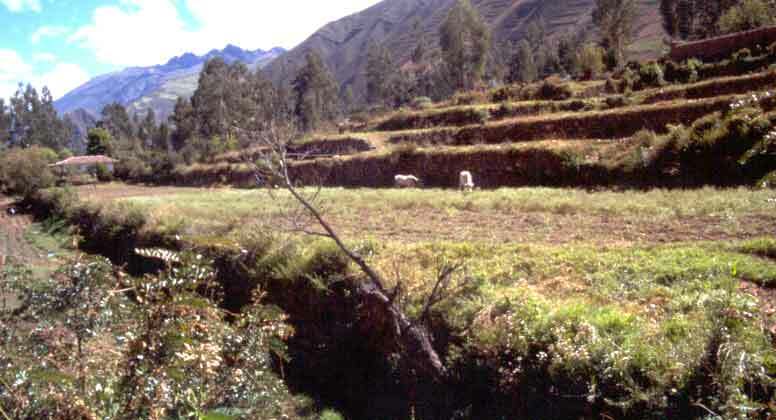 Extensive agricultural terracing at Pisac, Cusco, Peru. 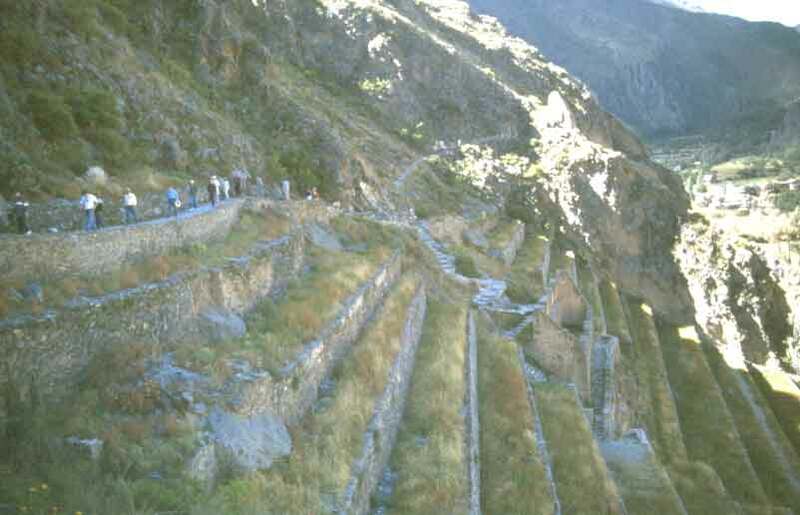 The narrow terracing by the side of Ollantaytambo temple, Cusco, Peru. These could have had a defensive character as well. 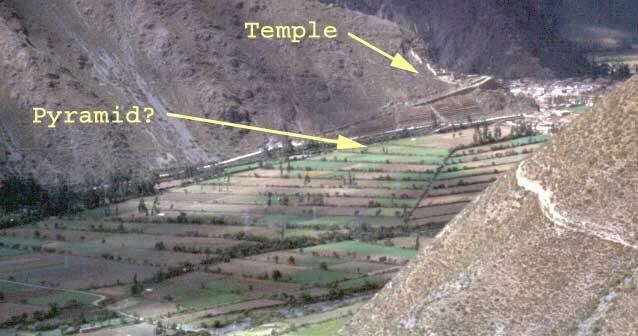 Long and wide agricultural terraces, below the temple of Ollantaytambo, apparently, transformed the foothill slope into a truncated pyramid. 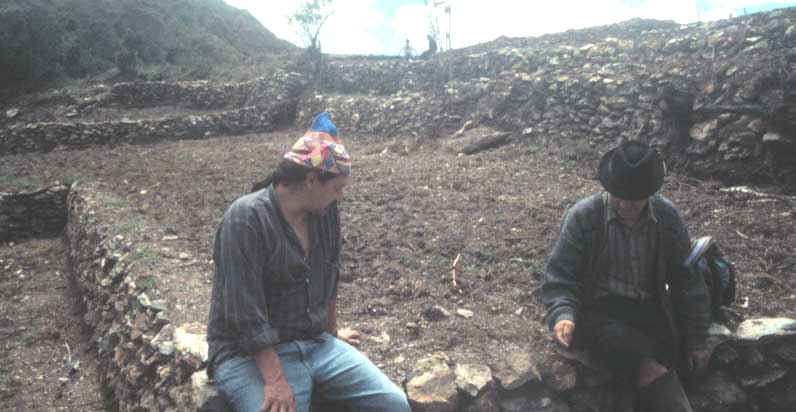 Machu Picchu (Cusco, Peru) terraces had many different uses. 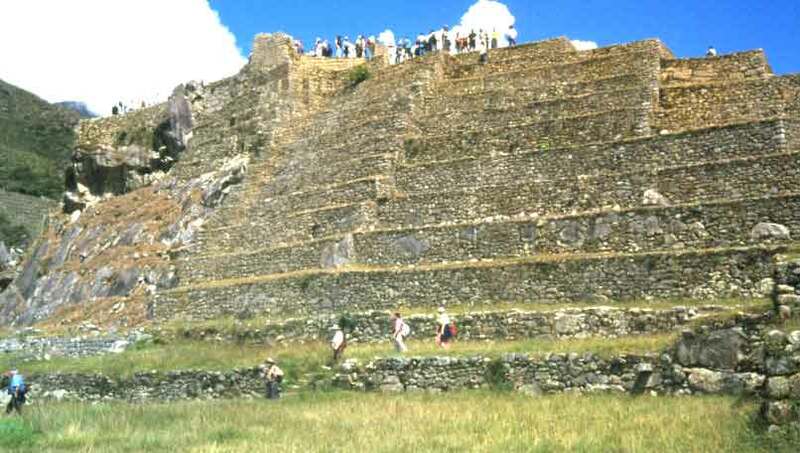 Below: These terraces, that form the Usnu (or Pyramid), may have had more of a structural significance. 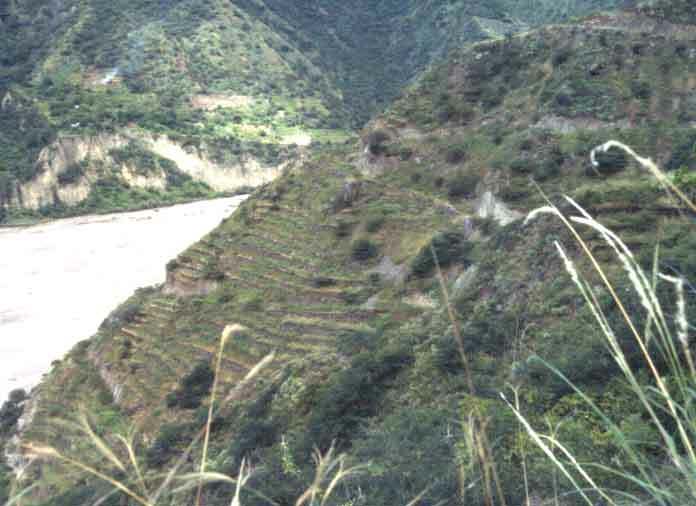 Terraced steep slope, right by the La Paz river, in Pastogrande, Sud Yungas, Bolivia. 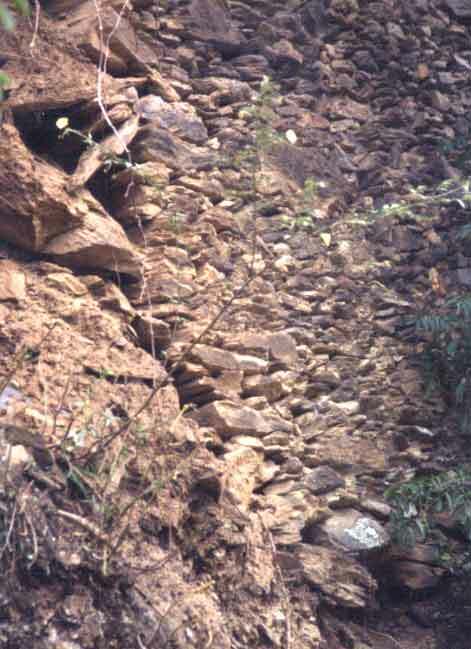 Left: Pastogrande terrace wall, made up of small flat rocks, abuts the natural hard ground with a few large pieces, nicely set-in. 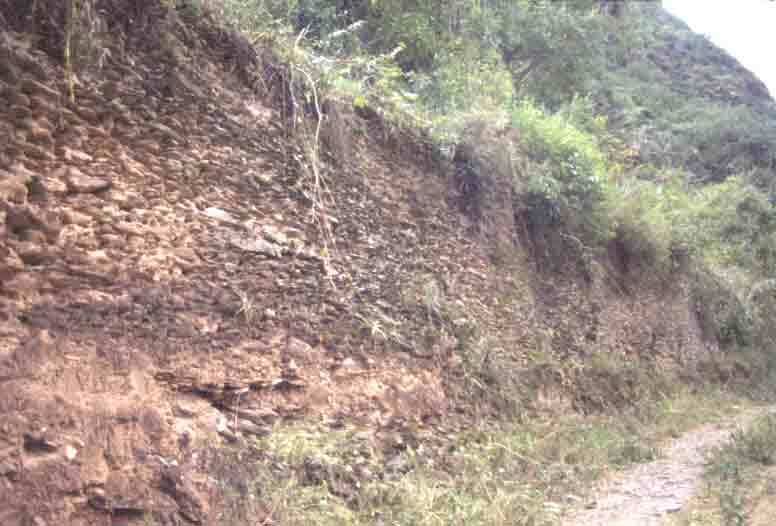 Below: Modern access road follows a long terrace wall. 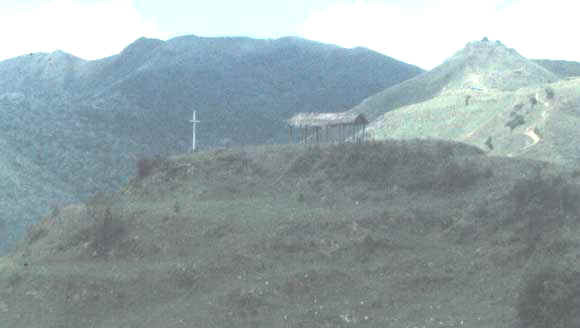 The mountain ridge with the cross, in San Lucas, Loja, Ecuador, had been artificially stepped long ago. 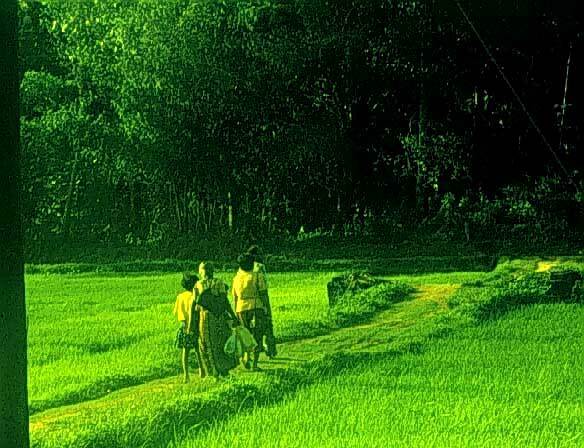 The peak in the background also shows such transformation. 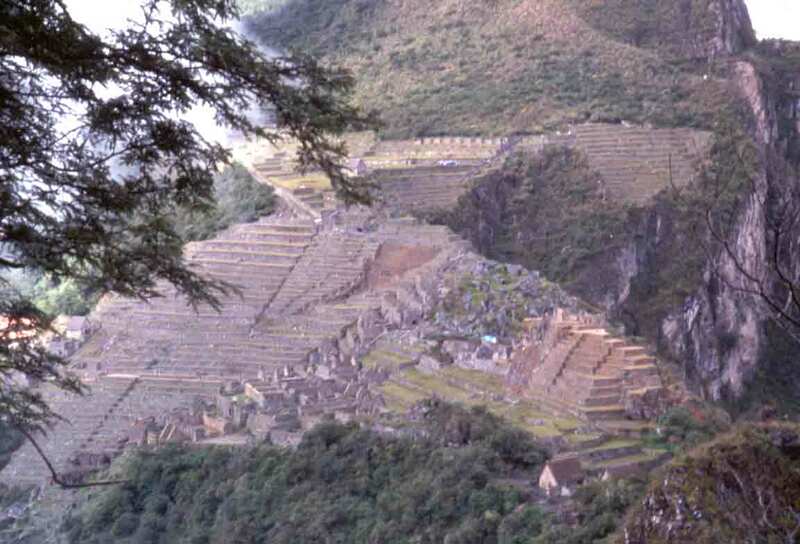 Restored agricultural terraces at San Lucas.